Accept and monitor secure online payments for your invoices live in real-time. Tools to make manual cash collection over the telephone quicker and easier. Use the flexible mobile payment system to accept payments wherever you are. Simplify your sales ledger when you integrate your account system(s) with OPS. Online Payment System offers a complete business solution that allows companies to securely collect, manage and monitor cash, direct debit, cheque, credit card and debit card payments from their customers quickly online, via the phone, on mobile devices or plug-in technologies wherever, whenever. Want to find out more about OPS? 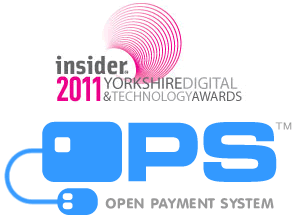 Contact our client services team on info@openpaymentsystem.com for an online demonstration. Automating some of your credit control activities can drastically improve the speed of your cash collection. Find out how to enhance your customer payment experience and improve your cash flow with our top tips and ideas in this blog post. Internet security is a measure to be taken seriously . The European Central Bank (ECB) has been taking tougher views on this subject and is looking to enhance standards to increase the security of Internet payments. Is Your Business Managing Its Online Security? Ecommerce is now more popular than ever but online security is still being overlooked. Continue reading to find out why this is and how PCI DSS can benefit your business.